It’s hard to think about resort 2014 seeing as summer has just started. Although the collections show clothes that are made for warmer climates and spring approaching, I’m reminded that we have to go through winter to there. But still, I have been looking though the collections in excitement of what’s to come. One I am very excited for is Rebecca Taylor. Known for her femininity and floral patterns, she has taken the girl next door and added a bit of edge, and I am obsessed. 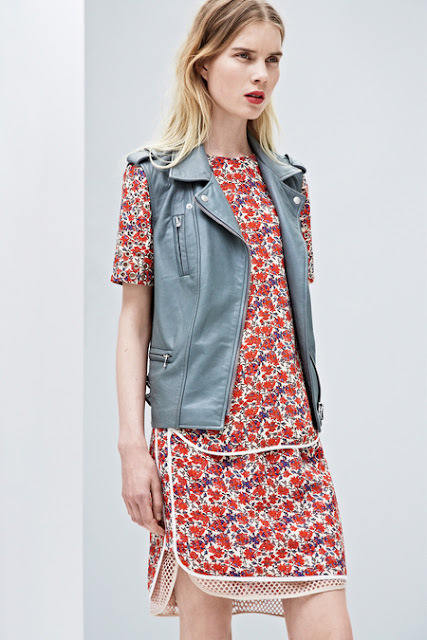 Floral dresses with leather vest, tweed jackets with studs, graphic lace, and it all screams feminine that is toughed up. I am counting down the days until these pieces are in my closet…. even though I don’t want summer to pass by too quickly.